"He can see around corners." I had not heard that phrase before and I instantly LOVED it! Who would not want to be able to see the around the corners and learn "what's next" in one's occupation or some other area of interest? Then, I began to think about HOW one might go about seeing around corners. What resources would it take? How would it be done? Who could do it? As I mulled over this, it hit me – I was already capable of seeing around corners, because I was asking QUESTIONS on how to do it! 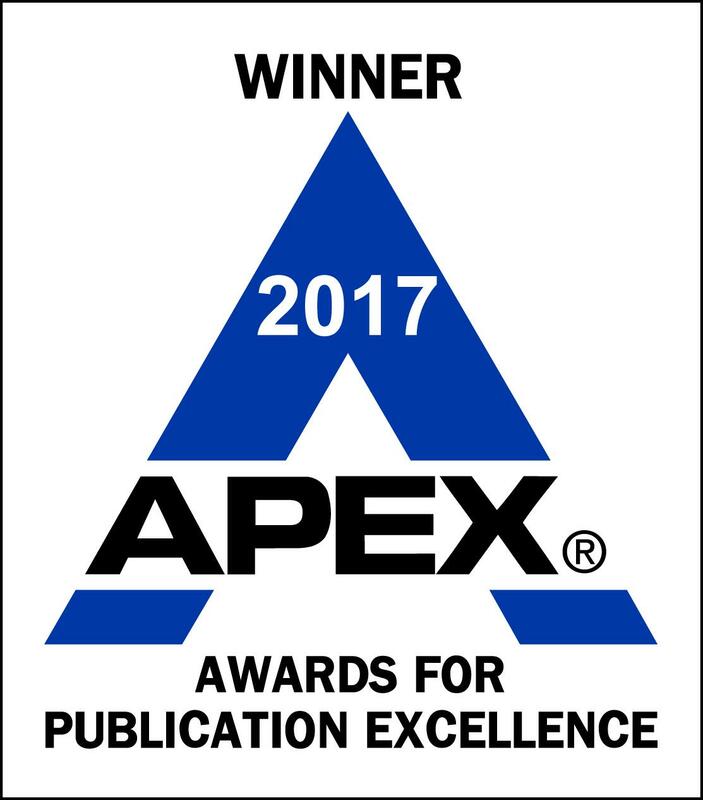 • Knowledge of trends, especially those in the technology arena, since technology is a huge disruptor in all areas of life. • A framework for asking questions and thinking about problems. • Belief in your inherent creativity. • Confidence in your ability to link your creativity with your career – and a willingness to do so. When I first chose the books for this year's "Summer Book Reviews" in late April, I sensed a common thread ran through them all, although at the time, I didn't know what that thread was. Indeed, it wasn't until I was well into the books that I began to see their connections. All these books can help someone see around corners! Of course, no one has the ability to see clearly around corners all the time. Still, the following four books can help you – in the words of financial planner and financial industry futurist Dennis Stearns – to better "predict, prepare, and pivot in times of change." • Mobility – Smartphones, tablets, and the "Internet of Things" are all generating data, including the location where the data originates. • Virtual Living – Facebook, Twitter, Flickr, Tumblr, LinkedIn, and other social media sites digitize and store content previously housed in letters, notebooks, resumes, and photo albums. These sites allow you to share more thoughts, feelings, and activities with your family and friends – and reveal your time-based and location-based comments and behaviors. • Digital Commerce – More and more options are becoming available to buy goods and services online, fulfill those orders quickly or instantaneously, and rate your experience at multiple points in the overall process. • Online Entertainment – Production-quality movies and other programming – including YouTube videos of various quality and on virtually any subject – are being delivered over the Internet, and online gaming now provides an unprecedented level of user interaction and immersion. • Cloud Computing – Both businesses and individuals have access to online applications and utilities that previously required a dedicated infrastructure, such as servers or external backup drives. • Data of Different Types – Both structured (for example, purchase transactions) and unstructured (for example, emails and web posts) data can be analyzed. • Data from Different Sources – Both internal (for example, a company's business system) and external (for example, information from social media sites) sources can be accessed. • Contextification – Companies can now combine the time and your location to predict what you're currently doing and thus offer you, for example, an online coupon tailored to predicted activity – that is, the offer is constructed just for you, and in your context at that moment. • Socialification – As users share more information about themselves with their families, friends, and business associates, companies can better assess a person's social network and make suggestions. For example, a mountain bike company could help people in a network arrange a get-together at a restaurant and meet a sales rep looking for volunteers to field test upcoming models. • Quantafication – In case you're wondering, I did spell the author's term correctly – it's based on the physics term "quanta," a package of energy with specific characteristics. This analogy is applied to business processes – just as a single photon is a quanta of light, a package of tasks with specific outcomes is a "quanta" of business processes. As processes are better defined and sub-divided, they can be outsourced to be performed more quickly and less expensively. • Appification – To the extent products and services can become apps on mobile devices, customers can have instant gratification in virtually any location and at any time. • Software as a Service (SaaS) – Microsoft's Office 365 (for Microsoft Office programs) and Adobe's Creative Cloud (for Adobe Creative Suite tools). • Platform as a Service (PaaS) – Salesforce.com for CRM (Customer Relationship Management) and WorkDay for HCM (Human Capital Management). • Infrastructure as a Service (IaaS) – Many companies now provide outsourced servers, disk storage, networking equipment, virtualization software, networking components, and other hardware and software previously requiring ownership. Just as the electric company provides more power when you want your home or office cooler, so too can these companies scale services as your usage changes. • Thingification – As the cost of computing power and wireless networking drops, more and more things will be able to interact with users and the environment. Today, such things are relatively large and expensive – cars, homes, and major appliances. In the not-too-distant future, many smaller items will have embedded sensors to record their location, temperature, performance characteristics, and other attributes, many times each second. In the third part of the book, the author describes six major actions businesses can use to respond to the trends and business impacts. Todd's Tip – While all parts of this book are useful, the most interesting one to me was the final one – "Summary: A Few Days in Life, Circa 2020." In this section, the author envisions five people in different walks of life, paints a one-day scenario for each person, and describes the trends, impacts on business, and actions at work in each scenario. By painting these five narratives, the author shows how these concepts come together, once again proving the truth in "A picture is worth a thousand words." There's a saying – "A good question beats a good answer." I've always believed the truth of this saying, perhaps because my natural curiosity and inquisitiveness cause me to ask LOTS of questions. 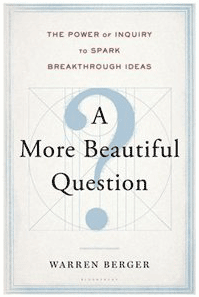 The second book, A More Beautiful Question, by Warren Berger, centers on the power of inquiry, which comes through asking good questions, and illustrates how this power can be harnessed to generate better answers. • What can a question do? • What business are we in now – and is there still a job for me? • Are questions becoming more valuable than answers? • Why does everything begin with Why? I found the second chapter, "Why We Stop Questioning," especially fascinating – it describes how questioning helps us develop mentally and make sense of the world, yet around age 4 we begin asking fewer and fewer questions. By age 18, over 75% of students use reading and writing skills routinely, yet only 25% ask questions routinely. While some of this decline in questioning is natural – around age 5, the brain starts "synaptic pruning" to cut away over two-thirds of a child's roughly quadrillion connections among neurons to yield an adult brain – much is baked into our education system. Answers become more important than questioning and discovery, which is exacerbated as teachers are forced to cram in more facts and rote memorization, and schools are forced to cut enrichment activities, such as art and music, often viewed as "extraneous." • WHY questions arise when a person encounters a problem or limitation – for example, "WHY does stepping back help us move forward?" • WHAT IF questions help a person generate possible solutions or improvements – for example, "WHAT IF you sleep with a question? (Will you wake with an answer?)" • HOW questions enable a person to take a promising possibility and figure out how to bring it to life – for example, "HOW might we create a symphony together?" The final two chapters helped me apply these concepts to both my business and my life. 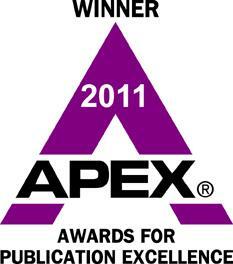 For example, I now clearly see how asking questions – of all three types – enabled me to earn several graduation honors at Wake Forest University, be selected for two assignments to Arthur Andersen's worldwide audit software research and development group, and reinvent my firm and myself several times over the past 25 years. One key thing about questions – they can be risky. If you ask too many questions in class, your classmates may believe you don't understand what's being taught – even worse, the teacher may also think this, and shut down your questioning so she can get back to imparting facts to the class. A similar thing happens in business – is it better to ask too many or too few questions? I prefer a staff member ask too many questions, provided they are not the same question over and over. After all, if I haven't been clear describing a task, it's better to be answer questions up-front and avoid rework later. • Good at asking questions and finding solutions to business problems? Regardless of the answers, asking lots of good questions is an essential part of successful client service. 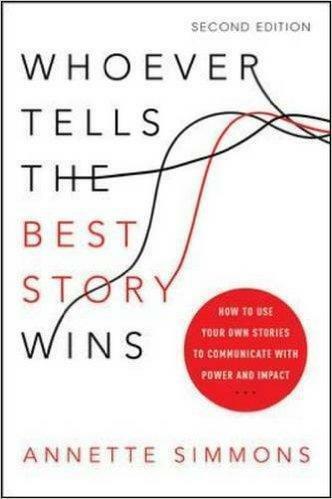 Todd's Tip – I was HIGHLY engaged with this book's content! I jotted many thoughts and notes in the book's margins and my Moleskine idea pad, because the questions the book presented triggered MANY ideas to apply to my business and personal life. People are born with creativity, and then gradually lose it when parents, teachers, bosses, and others tell us "That's not the right way to do things" or "Keep your colors inside the lines." The creativity hasn't gone away – it's just been pushed down inside ourselves so deeply and for so long we no longer believe in our creative capacity. How do you create something new in the world? To increase the quantity and quality of possibilities, you can use what the authors call Design Thinking. • Inspiration – Seek experiences or use techniques such as empathy to spark creative thinking. • Synthesis – Make sense of the ideas generated and feelings experienced. • Ideation and Experimentation – Generate as many and as varied ideas as possible, then begin to winnow them down and carry out rapid prototypes to evaluate potential. • Implementation – Take your best prototype, and then refine the ideas in it, while mapping out the path to bring your new product or service to market. While Design Thinking is a useful technique by itself and fairly easy to teach, the hard work actually occurs within the individual. This is the mental and emotional work required to overcome the REAL barriers to "creative confidence" – the fear of being judged or being wrong. The book's ultimate goal is to help you find more Inspiration by developing your Creative Confidence. While inspiration can come from many sources, the book makes a strong case that innovation is closely tied to "approaching challenges from a human perspective" (page 19). Thus, you WILL find inspiration when you "start the creative problem-solving process with empathy toward your target audience – whether it's kids or colleagues, clients or consumers." (page 18). "Empathy"? Why start with that? Because you are seeking to create something new in the world to help people address a problem. How well can you put yourself in the shoes of your audience? How strongly can you feel the fear of a young child being put into an MRI machine, requiring sedation to get through the procedure? The more empathy you have for your intended users, the better you can focus on the human perspective of an idea. 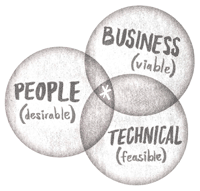 By starting with the PEOPLE perspective and determining what features and benefits are desirable, you can better approach the TECHNICAL perspective and assess what features are feasible, and whether the user benefits sufficiently support the BUSINESS aspect of being viable. After setting the stage in the Introduction and Chapter 1, the middle chapters lead you through the process of reclaiming your natural creativity. 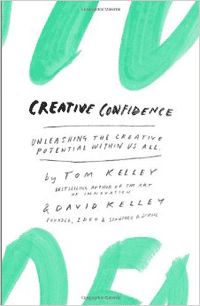 The final two chapters provide ten creativity challenges to move you from idea to action, and some strategies for developing and maintaining your creative confidence. Todd's Tip – This book contains a lot of practical material, presented creatively and dotted with many illustrations, photos, stories, exercises, and real-life examples. 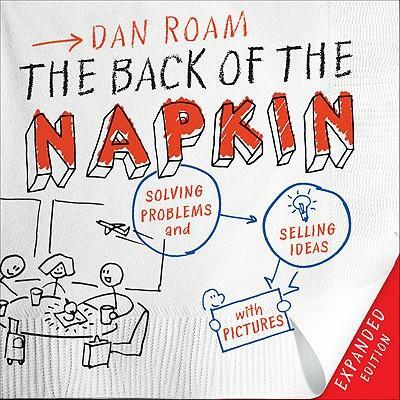 Read it cover to cover, or pick it up and flip through it for specific ideas – either way, you'll benefit from this book. 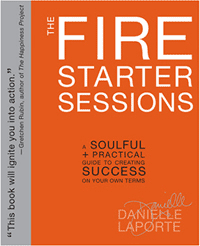 As soon as I picked up The Fire Starter Sessions, by Danielle LaPorte, and flipped through it, I knew – just KNEW – I was going to like it! Why? Was it the quirky layout and typography? The quotes presented? The stories shared? No! While all those were nice, what sold me was a testimonial on the back cover – "The new BADASS Artist's Way"! Just as The Artist's Way is, as its subtitle accurately states, "A Spiritual Path to Higher Creativity," so too does The Fire Starter Sessions deliver on its subtitle, "A Soulful + Practical Guide to Creating Success On Your Own Terms." How does it do this? It leads you – more accurately, cajoles, coaxes, encourages, and occasionally goads you – into figuring out what makes you "you," what brings you happiness, what kindles a fire inside you. The sixteen sessions and nineteen worksheets break into three parts. • What gives you passion? • What activity, when you're doing it, seems so easy to you, yet others find so hard? • What do you want to feel? These are hard questions. Just realize this – getting your mojo back requires reflection and internal digging, since it is YOUR unique special magic or charm that makes life fun, fulfills your soul, transforms hard work into easy play, and unlocks your "flow." Part 2 – Moxie – Once you've found your mojo, how do you begin to apply it? This part helps you face forward, envision your future, confront fear, comfort failure, and learn how to say "no" to less meaningful things so you can say "yes" to the things that inspire you. In these sessions, the author channels her own successes and failures into brutally honest lessons she has learned. She invites the reader to be as honest as she has – and because she knows this is VERY hard, weaves in mini pep talks throughout. • Make stuff that feels good. • Show up, be real, "radiate your passion" – in other words, live out your personal brand. • Master your time by assessing the tyranny of traditional time-management techniques and replacing them with different guidelines designed to give you power. • Understand your value to your customer or client, determine what you can charge for the value you deliver, realize that value is not just monetary, and be content with "enough." • Develop a support team of friends, family, colleagues, and others who can fan your inner fire when it's dying down. • Be generous, and give what you have, even it's just a smile. • Start. Now. What are you waiting for? I said, "START!" Todd's Tip – This is a book that can be read quickly or slowly, all at once or over an extended period. I recommend a slower pace, to give yourself time to let these ideas develop. You're not looking for obvious answers on the surface – you're looking deeper, seeking subtle and nuanced answers. In Closing – So, there you have it. 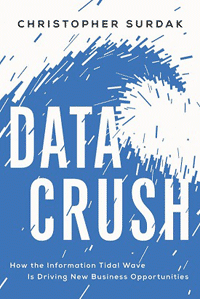 My four suggestions – Data Crush, A More Beautiful Question, Creative Confidence, and The Fire Starter Sessions – for some light, enjoyable summer reading ... which also happen to be INCREDIBLY useful in seeing around corners. Enjoy!